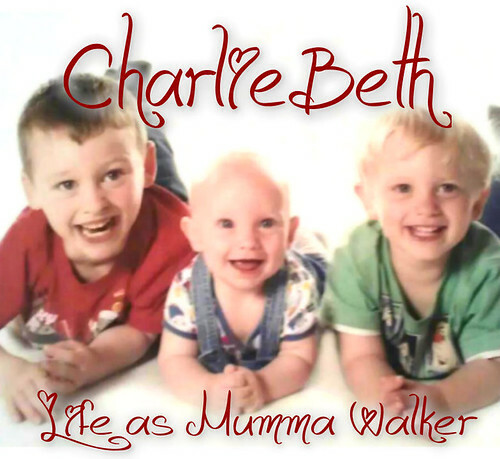 Mumma Walker's 7 Years of Pregnancy by CharlieBeth: 20 week scan! Thankfully got the car back last night (another £37.60 spent, but still less than I'd set aside for the MOT so not too bad. I guess) so we didn't have to taxi, bus or walk to the RLI. And I didn't have to go with a full bladder either so I was much more comfortable this time round. Still as wound up and excitable as a 4 year old on Christmas eve though! We had a good long look at the baba this time, and Wiggle was in a better mood this time too, turning and rolling about to suit the scan instead of mooning us like last time! Although he was hiding behing my belly button for a short time! We saw the little heart beating! We saw the dark areas which we were told were stomach and bladder, which shows that baby is swallowing ok, and the the kidneys are working too. 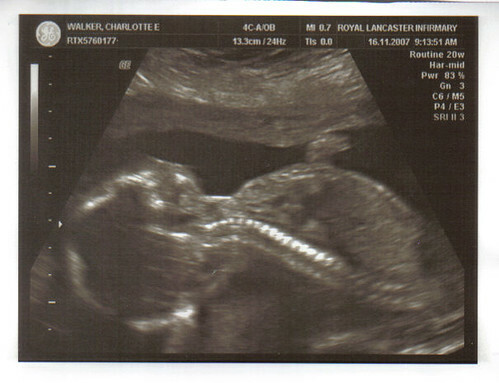 We got a very good look at the spine too when Wiggle flipped over as though to give the scanner the perfect view. Yorkie asked if baby had all the right number of arms and legs etc and the lady giving us the scan assured us that they are all there, then gave us a full guided tour of babys arms, legs, hands and feet. Right on cue Wiggle lifted and arm and stuck out his thumb, moving it towards his open mouth, but stopping just short of actually sucking on the thumb. And I was a bit startled at how long Wiggle's legs look! Certainly not an Oakes family trait! So it looks as though we have a fit and healthy normal baby! Hooray! We have the consultants appointment next week to make sure though. can't wait!